Install Vidyo on iOS 10 to record your iOS iPhone and iPad screen without requiring Jailbreak. Earlier we discussed iRec and Air Shou, the screen recorder apps for iOS 10 and today we’re discussing Vidyo for iOS 10. In this post, we will discuss the benefits and method to install Vidyo on iOS 10 devices without Jailbreak. Some time ago you could install Vidyo on iOS 10 devices from Apple’s App Store. 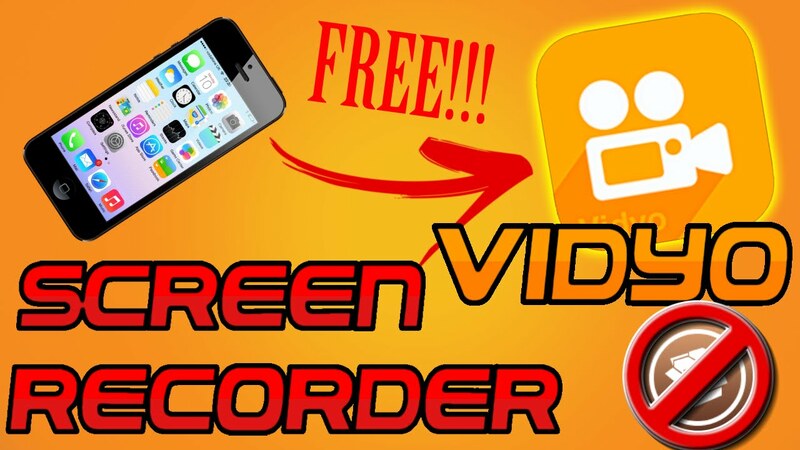 It served as an alternative screen recorder app for iPhone and iPad without Jailbreak. Soon, the Apple review team got the wind of this breach and Vidyo for iOS 10 was pulled off App Store. Although Vidyo is a clean app without any malicious or harmful element to it, it was deleted from App Store. Now you cannot install Vidyo on iOS 10 devices from App Store. This is due to the fact that it violates Apple’s Terms of Service. Security and privacy for Apple has always been the first priority and therefore it’s against any such software that record calls or screens of its iOS devices. 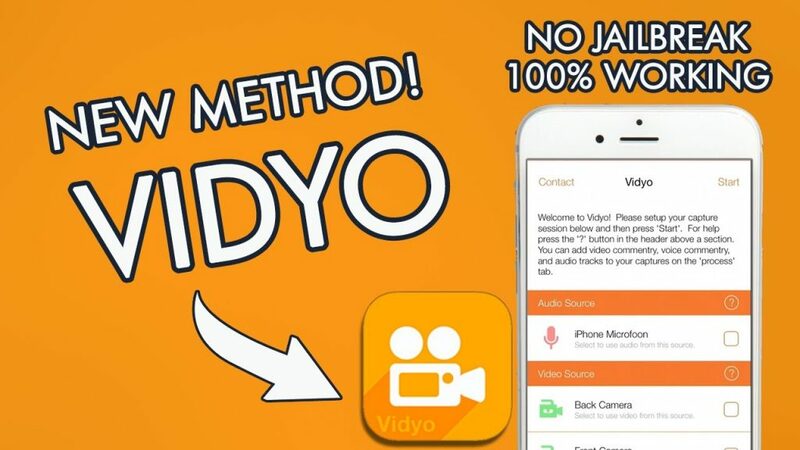 Since iOS 10 devices cannot be jailbroken, we have discovered a method to install Vidyo on iOS 10 iPhone and iPad without Jailbreak. It is a relatively new app as compared to Air Shou and iRec but we believe you’ll like this addition to your Screen recorder app collection. If you were able to install Vidyo on iOS 10 before it was removed from App Store, you’ll certify that it is one of the best screen recorder apps out there. It’s user friendly with many powerful features such as audio/video recording with resolution adjustment of your device. Vidyo also supports screen recording for multiple video sources and live streaming for gamers. You can install Vidyo on iOS 10 devices to record game play on iPhone or iPad. If you couldn’t install Vidyo on your iOS 10 device earlier, you can install it right now as it doesn’t require Jailbreak. To install Vidyo on iOS 10 devices without Jailbreak, you’ll need .ipa file of Vidyo screen recorder app and Cydia Impactor. Make sure to download the latest version of Cydia Impactor on your iPhone or iPad to install Vidyo on iOS 10 device. Get .ipa file for Vidyo from here. Go to http://www.cydiaimpactor.com/ and get the latest version of Cydia Impactor. Connect your iOS 10 iPhone or iPad to computer. Drag the .ipa file for Vidyo and drop it on Cydia Impactor. Installation of Vidyo will commence. When the installation is complete, you’ll see the icon for Vidyo on your Home screen. But don’t launch it yet. Go to Settings > General > Profile and find profile for Vidyo. Trust the profile to complete the installation for Vidyo on your iOS 10 device. Go to home screen and launch Vidyo to record the screen of your iPhone or iPad. You can now set up various settings for Vidyo and set up the capture session. You can add video/voice commentary and add audio tracks to your screen captures as well. However, keep in mind that you’d need to install Vidyo on your iOS 10 device with Jailbreak every seven days. This is because Cydia Impactor uses Apple’s free developers account to side load tweaks on your iOS 10 device without jailbreak. The free developer’s account with Apple expires in a week’s time. You can however, sign in with the free developer’s account with Apple unlimited number of times.